Martin caught the public imagination with spectacular paintings. In 1821 Lawrence referred to him as ‘the most popular painter of the day’. Anger, and obstinacy, and hate, and guile. Whence Adam faltring long, thus answer'd brief. Afraid, being naked, hid myself. This passage in Genesis is called the Protoevangelium ("first gospel"): the first announcement of the Messiah and Redeemer, of a battle between the serpent and the Woman, and of the final victory of a descendant of hers. 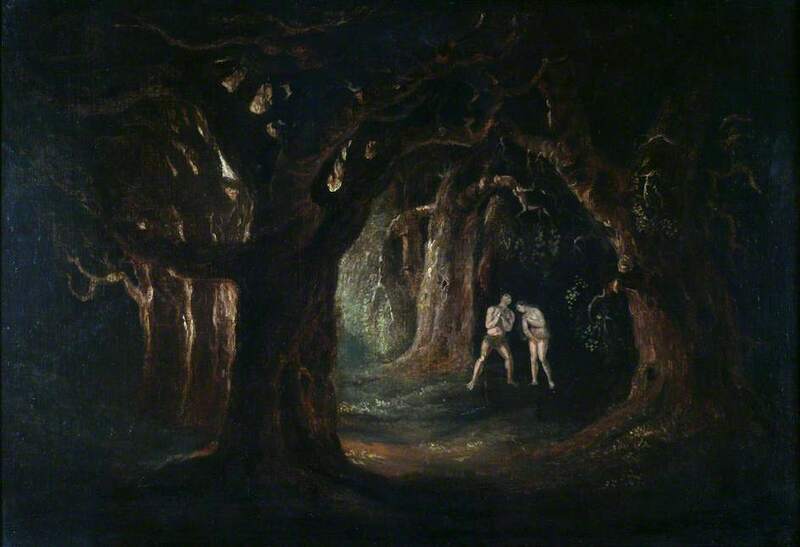 Adam, after his sin, experiences shame, he feels naked, he senses the weight of what he has done; and yet God does not abandon him: if that moment of sin marks the beginning of his exile from God, there is already a promise of return, a possibility of return. God immediately asks: "Adam, where are you?" He seeks him out. Jesus took on our nakedness, he took upon himself the shame of Adam, the nakedness of his sin, in order to wash away our sin: by his wounds we have been healed. [L]et us be enveloped by the mercy of God; let us trust in his patience, which always gives us more time. Let us find the courage to return to his house, to dwell in his loving wounds, allowing ourselves be loved by him and to encounter his mercy in the sacraments. We will feel his wonderful tenderness, we will feel his embrace, and we too will become more capable of mercy, patience, forgiveness and love.